Anyone who just inherited a deceased parent’s IRA or 401(k) could be about to commit a costly blunder. You can take the money from that retirement account in one big lump sum, no matter how young you are, but that will trigger a tax bill – probably a hefty one. It’s tempting to take the lump sum, especially if it represents a huge windfall of cash for you. But you should be aware it’s also a windfall for the IRS. As a tax attorney and certified financial planner who specializes in working with high net worth clients, I know this issue will become an even more common one in the coming years as the aging Baby Boomers die, transferring their wealth to their Generation X and Millennial offspring. 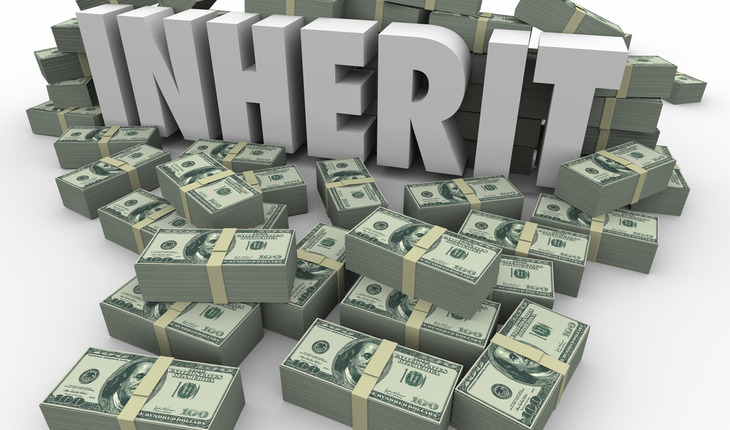 Some have called it the greatest wealth transfer in history, as over the next few decades the Boomers are expected to leave about $30 trillion in assets to their children and grandchildren. Part of that money is in tax-deferred retirement plans such as a traditional IRA or an employee-sponsored 401(k) that Baby Boomers have been contributing to for decades. They didn’t have to pay taxes on the money they contributed to those plans until they started withdrawing the money in retirement. But just to ensure those taxes aren’t deferred forever, the government requires a minimum withdrawal each year once the account holder reaches age 70½. The IRS also isn’t picky about who does the paying. It’s fine with collecting the taxes from heirs if the retiree dies before spending all the money. If you inherit an IRA, think about your need for these gifted funds. If there is no need for the funds for at least five years, consider repositioning them into a tax-advantaged vehicle over the next five years and save yourself thousands of dollars in taxes over your lifetime. We always prepare an RMD analysis and find that paying the tax man over the next five years, while we still have the second lowest tax base in U.S. history, is much more appealing than deferring the tax and then being trapped into paying them in a rising tax rate climate. Taxes must inevitably go up in the future, she says, because of our current federal debt of $20 Trillion combined with the concurrent retirement of the Boomers in mass. Understand what kind of account you inherited. The rules for a Roth IRA are different from the rules for a traditional IRA. Taxes were already paid on the money that was contributed to a Roth. If the Roth was funded more than five years before the person died, you won’t need to pay taxes when you take distributions. Don’t rush into a bad decision. You will face deadlines for when you have to make decisions (the IRS won’t remain patient forever), but there’s no need to be hasty and do something you’ll regret later. If you don’t have a financial advisor, she says, it would be wise to find one who can help you figure out what the best tax strategy will be for your situation. Maybe you really do need the money, so taking the lump sum makes sense, But I think most people who do that are going to regret it later, especially if they just blow all the money right away and don’t have anything to show for their inheritance.